Dr.Mohamed Ibrahim, Minister State of Antiquities, announced that the A.R.C.E (American Research Center in Egypt) mission working in Mut temple in the Karnak complex in co-operation with Ministry of Antiquities, unearthed a granite statue of Goddess Sekhmet dated back to the time of Amenhotep III. The 180cm tall statue represents Goddess Sekhmet in a human body with a lioness head crowned with the Sun disc and cobra holding an Ankh in her right hand and Lotus flower in her left hand. It was unearthed during the installing of floor tiles in the second court of the temple. In May 2012, ARCE and Ministry State of Antiquities begun a project to restore and develop Mut temple and the surrounding area to open for public as it was closed since 1976 when ARCE started excavation and conservation work. 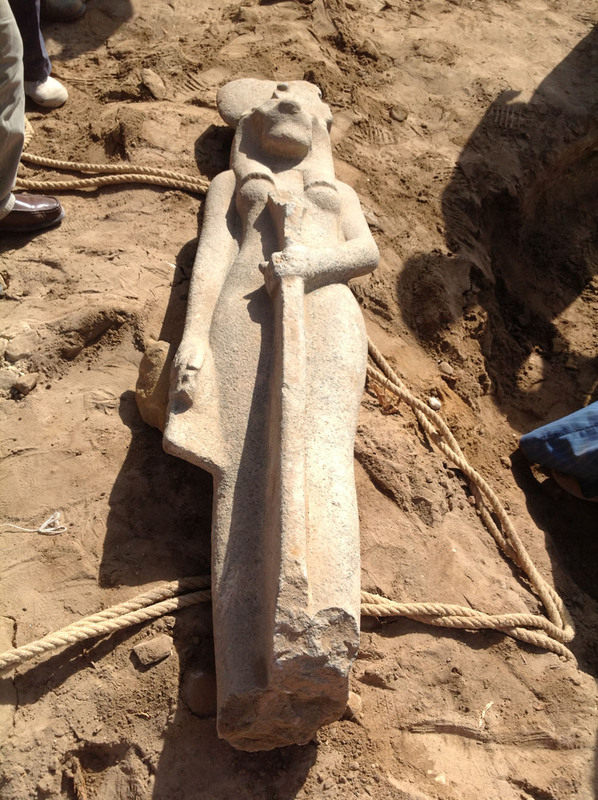 The project includes restoration of reliefs, establishing a visitor’s centre and a documentary about the role of Goddess Mut in Ancient Egypt to be screened at the centre. The original plan for the project was a year and it is planned to be open for public in March in line with the opening of a part of the Sphinx Avenue between Luxor and Karnak temples.